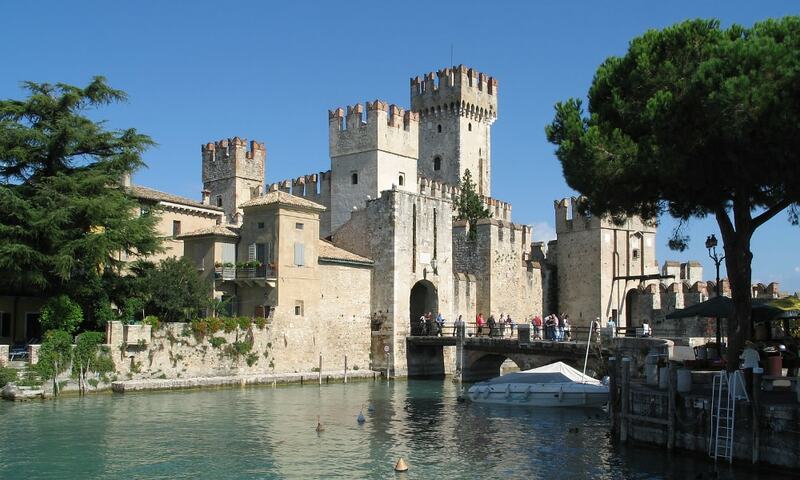 Castle of Sirmione, also known as Scaliger Castle is a rare example of medieval port fortification, which was used by the Scaliger fleet. The castle stands at a strategic place at the entrance to the peninsula. It is surrounded by a moat and it can only be entered by two drawbridges. The castle was established mainly as a protection against enemies, but also against the locals. The main room houses a small museum with local finds from the Roman era and a few medieval artifacts.